Booking and paying for your tour is easy with Taste of Thailand’s online booking system. All tours begin at Saphan Taksin BTS Station (Exit 2). Tee, our guide for the morning, was ready to start promptly at 10 am. After a few quick pointers, our group of 10 was eager to savour our first tasty morsels. Curry puffs were the first item on our tasting menu, and we didn’t have far to go. Six flavours are on offer, and we each chose two. Decisions, decisions! I ended up sampling a mushroom and a coconut. Both were mouthwatering good, surrounded by melt-in- your- mouth homemade puff pastry that rivals your mama’s and grandmamas. 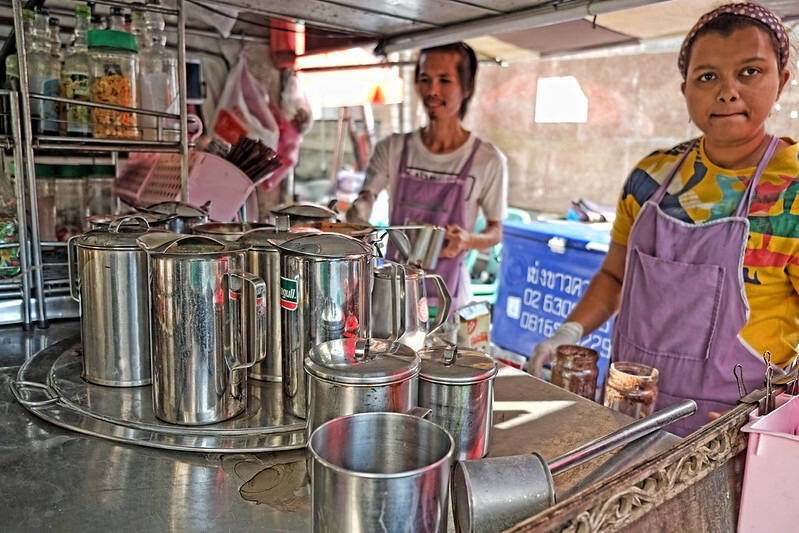 Next, tea time at a traditional Thai tea/coffee vendor. An interesting tidbit from history: Tea was first shipped to Bangkok from England second-hand, then double-brewed for the palace’s high society folks. If you’ve ever eaten curry cooked with homemade curry paste, you know how delicious it is, and how much work goes into making the curry paste. 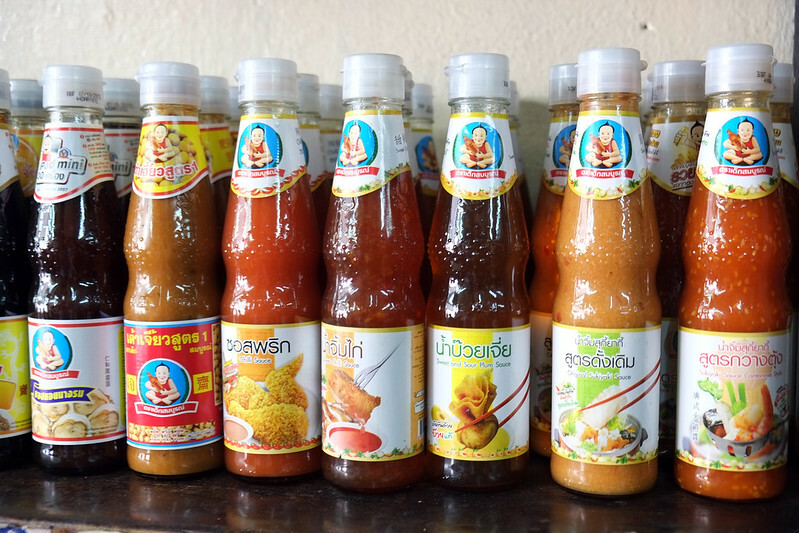 There’s a curry paste shop in the neighbourhood that has been taking the work out of the curry paste for Bangrak locals for the past 50 years. Panang, Green, Yellow, Coconut or Red; it’s all made right here. There was no sampling, but Tee promised curry before the end of our tour. With a 50-year track record, it has to be mouthwatering good. If I had been staying somewhere with cooking facilities, I would have taken some with me. We were ready for more tastings, and our next stop, the Tod Mun Pla fishcake vendor, was a hit with the group. I was so excited to see Tod Mun Pla on the itinerary. They are hands down one of my favourite Thai tidbits. You can find them everywhere; on the street or in any Thai restaurant. Try them once, and you’ll be hooked for life! I remember the first time I tasted these morsels of fish cake goodness. I was hooked! Dipped in a bit of Thai chilli sauce get ready for an explosion of flavour. Your taste buds will thank you! For a change of pace and taste, we headed to Boonsap Thai Desserts, not any ordinary Thai dessert shop! 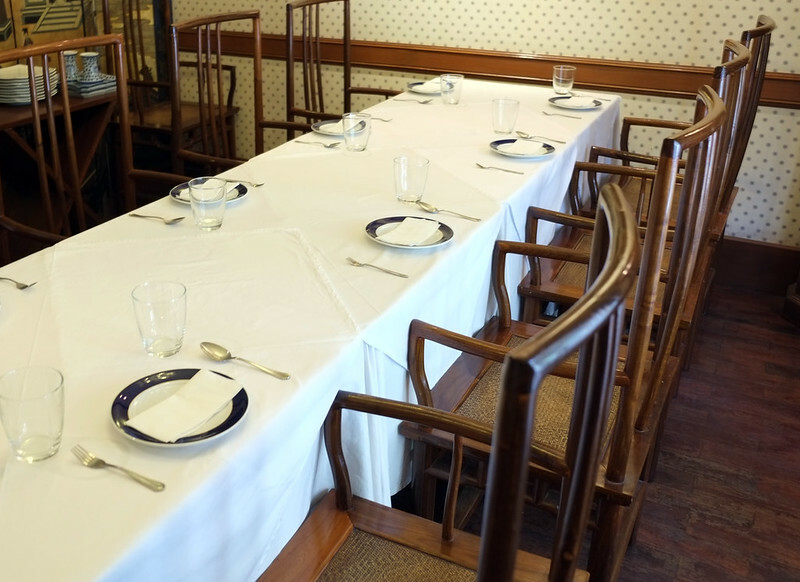 This modern cafe began as a humble street cart, and although now situated in much classier digs (including air con), the recipes, dating back three generations, are still in use today. 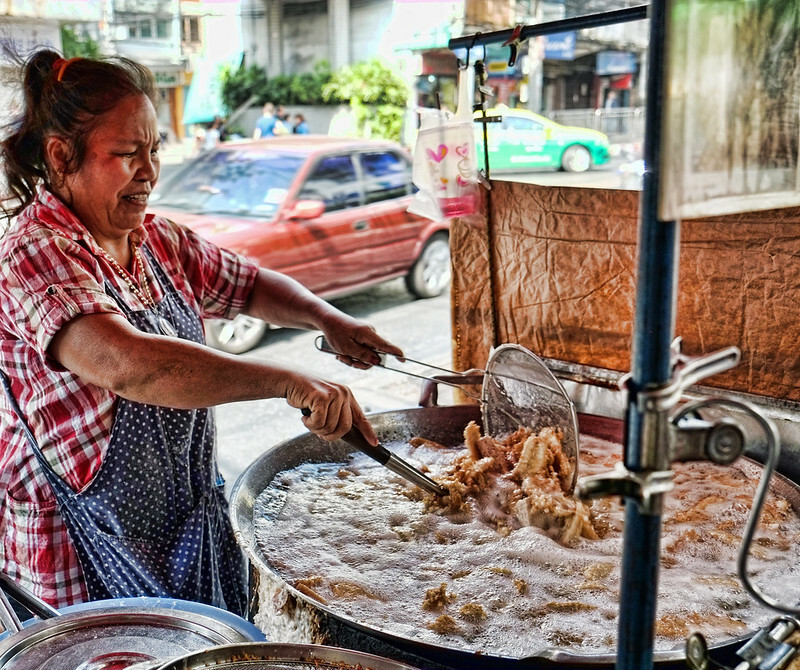 The current owner, Tatcha Boonpaisarn, is still very much guided by his Grandmother’s Boonsaps cooking practices. What it means is that each dessert is made in tiny batches with carefully selected quality ingredients. All of the desserts that I had the pleasure of tasting were over-the-top delicious. My favourites were the gold drop (think of sweet nectar), and the one that looks like spun straw. Made from duck egg, its richness was a perfect complement to the sweetness. Then, we were off to the Bang Rak Wet Market, the second oldest outdoor market in Bangkok, after Yaowarat Road. Here we sampled a variety of Thailand’s popular fresh fruit. New to me was the custard apple, which tasted exactly like a sweet custard dessert! From the market, we headed to the Wa Tow Herbal Drink Shophouse. This is another neighbourhood institution with the current location being 4th generation. For the uninitiated herbal drinks can be something of a mystery, and while many swear by their medicinal properties they are not backed up by science. Hey, if you think it’s helping what ails you, why not? We were able to choose from a variety of drinks, and my drink of choice was longan. Very pleasant taste and I would have it again. Known as “dragon eye” by the Chinese, thought to cure anemia, and benefit your heart. I also got to sample something called “Goto Kola” (that might not be quite right), and believe me; the stuff was BITTER. This shophouse is also the creator of the internationally famous Healthy Boy brand of sauces. Our next stop was Prachak Ped Yang. The restaurant is a neighbourhood institution, serving roasted duck with a dark rich sauce over rice (Khao na pet) for more than 100 years. We also sampled it over noodles. The duck was cooked to perfection, and the rich sauce was a perfect complement. My preference was the duck over rice. Prachak Pet Yang/ Charoen Krung Road (across from Robinson Bang Rak)/ +66 (0)2 234 3755/ Open everyday 7 am-9 pm. Then came a street stall dish that I can never get enough of, fried banana. This food stall is extremely popular with the locals. You’ll often find customers lined up ten deep just waiting for their fried banana fix. Fresh bananas are sliced, rolled in sesame seed and then deep fried to crispy perfection. Cooked until they are chewy on the inside and crispy on the outside, it’s little wonder that they are such a hit. Our next taste sensation was a selection of Isaan food (originating in Northeastern Thailand) at Baan Som Tam. 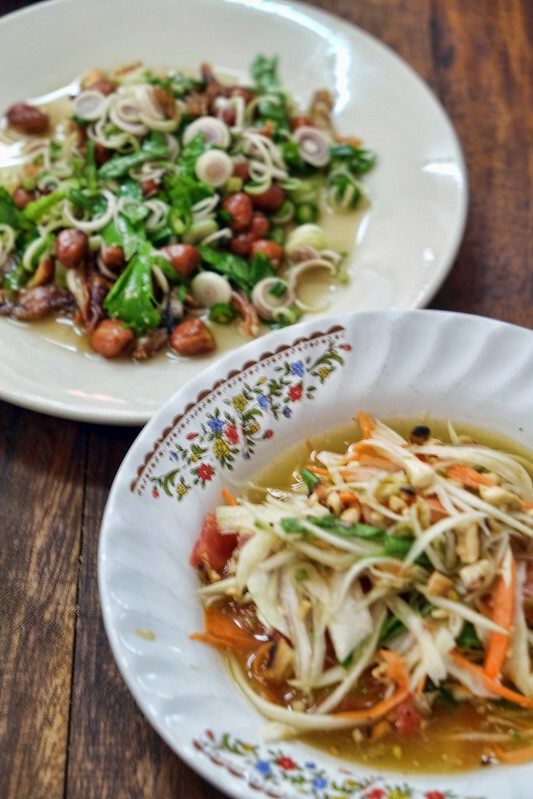 We sampled som tam salad, the restaurant’s signature dish with 26 varieties on offer. Our som tam was traditional. There was also a delicious lemongrass salad, and larb gai (gai is chicken). The lemongrass salad was my favourite, followed very closely by the som tam salad. The sweet, sour, and salty flavour combination exploded in my mouth, and combined with the freshness of the ingredients was impossible to top. For some strange reason, I didn’t get a photo of the larb gai, which was also an excellent choice to excite the taste buds. Finally, we ate like royalty at Than Ying Royal Cuisine Restaurant, where we completed our tasting tour with delicious curry on jasmine rice. The restaurant is owned by M.R. Sorut Visuddhi, son of Princess Sulabh. Only the freshest ingredients are used. All dishes are elegantly presented. Everything is cut so that a guest is never required to use their knife. Any fish served should be boneless. These are some of the details that make the distinction between food and cuisine. It’s not uncommon for a dish cooked in the royal kitchen to have been prepared using a recipe that it 200 years old. I enjoyed the tour, and would highly recommend it to anyone who is at all interested in eating and learning more about Thai food. Tours run daily and as mentioned above can be booked online through the Taste of Thailand site. The cost of the Village of Love Food Tour 1450 Thai Baht (approximately 40.00US) (Price updated for 2018). Be sure not to eat before you go. You’ll have the opportunity to try so many different dishes, food, and drink, and you don’t want to miss a single one! You’ll find a complete list of food tours on offer on their site. I was a guest on the tour. As always, all opinions and photos are my own. Have you ever taken a food tour with Taste of Thailand Food tours? What was the highlight for you? This is the 209th edition of Travel Photo Thursday. You can browse the archives here. And…We have a new badge for Travel Photo Thursday. 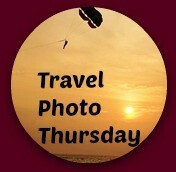 If you’d like to add it to your Travel Photo Thursday post you can grab the code from the sidebar. Yes, you made me hungry! What a great tour – such a good variety of things to taste and the pictures make them all look delicious. Hi Cindy! I’m glad you enjoyed. I even got hungry writing the post. I wanted to go back and have one of each all over again, except for the bitter drink at the Chinese herbal drink shop. oh my goodness, it is lunch time here, and all this street food looks so delicious! I also love your photos of the people and the stalls, and cooking. It takes us right there. I’m looking forward to another year of virtual travel on Travel Photo Thursday. Happy New Year, Jill. I am so glad that you came along for the tour! Curry puffs sound totally delicious. It’s true that most everyone I know who has been to Thailand raves about the food. One of these days, I’ll sample it in person. Making those fried bananas looks like a lot of hard work. Great photos, Nancie. Hi Cathy, and thanks! Yes, I think the bananas are a lot of work, but they are so tasty. Now that I’m thinking about them I think I will have go and find my favorite vendor tomorrow! Nancie, Yum! I love a great food post, but they always make me so hungry. I think food tours are definitely the way to go to figure out what the real people are eating, not just the tourists. 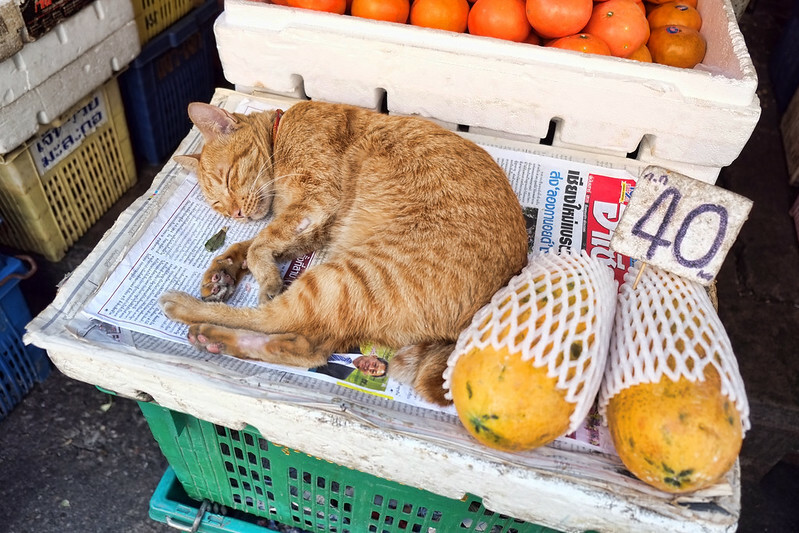 BTW the sleeping cat photo is my favorite…too cute! What an awesome bit of information–I will keep this in the back of my mind for the next time i’m in Bangkok. My daughter and I took a cooking class in Barcelona this summer and it was fantastic fun! I love doing food tours when I am in a new location and want to get a broad sampling to different foods. This looks a fun and flavor filled tour, can I sign up now? That is a reasonable price for four hours of taste sensations. 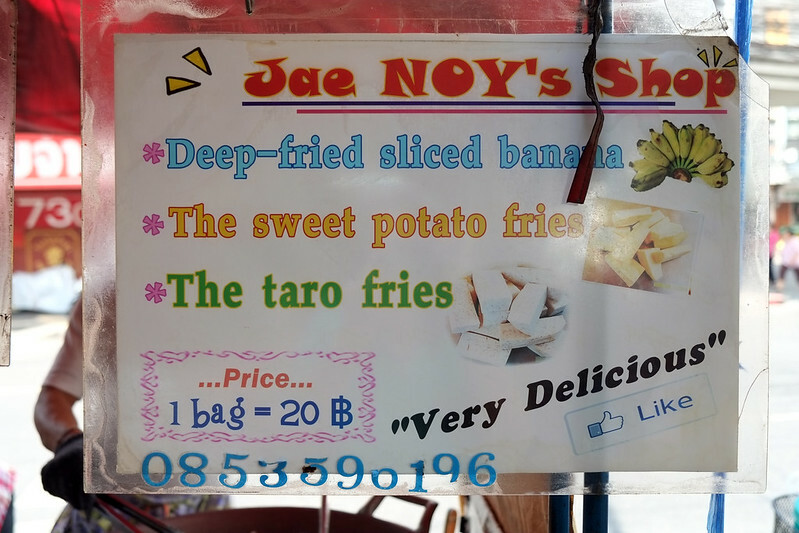 I’ve not tasted the fish cakes on a stick and will make sure I do next time we are in Bangkok. If we lived near that curry past place I would be in heaven. All the hard work is done when you start with a pre-prepared paste and I bet they are divine. The duck looks delicious and I’ll have that last ginger kitty please. Do you think he was the same price as the papaya? Oh my gosh, I am so hungry right now and really craving for some Thai food. What a great food tour and one I’d heartily enjoy. I’m still disappointed to have missed out on Bangkok. I’m keeping this in mind when I finally make it to Bangkok. Such delicious photos and great captures, Nancie. Why did I read this while I was already hungry? It looks fantastic, and I wish I could jump through the computer right into the middle of this tour. Every dish sounds yummy, and I know I’d be bursting full by the time the tour was over. Oh my that got me so hungry. I haven’t been to Thailand in 20 years. Got to go again. Their cuisine is just heavenly! Thanks for making me remember! You had me at the first “yum”!!! Looking forward to doing one of these tours when we visit. 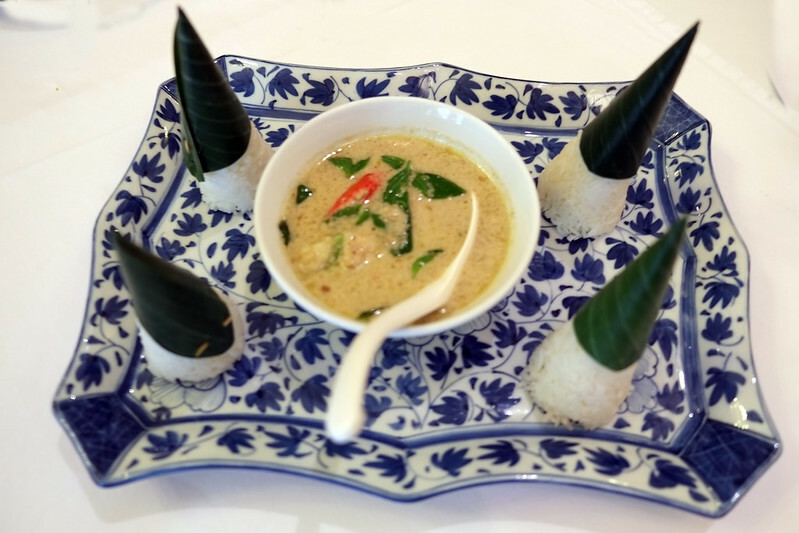 Taste of Thailand sounds like a fabulous eating adventure and this is one tour we’ll plan to take when we visit Thailand. 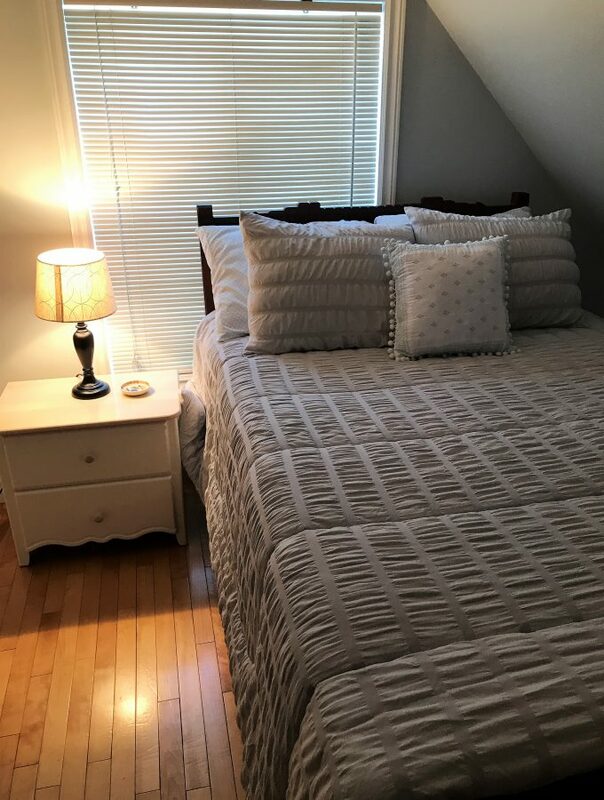 Your photos and descriptions had me drooling imagining the tastes! I’d read about the custard apple previously and would love to try it. I probably shouldn’t have read this post just before lunch. I love Thai food and everything looked delicious. You’ve always got me thinking about whether I should tackle making my own curry paste. We’re hoping to go to Bangkok this fall for TBEX and this tour will definitely be high on our list. The food looks amazing and plentiful! Wow. All of these look amazingly delicious. The food is breathtaking and it’s like no where in the world. Okay, I couldn’t figure out why I hadn’t read about your food tour in Bangkok so I went back through your archives (yes, I am a devoted follower  ) and found this. It is the week we were in Greece and I didn’t get to join in the TPThursday. Great post and coupled with the FB page you sent, I am ready to sign up! thanks again. . . This post make me hungry and wanted to try out all food here. I really love thai food especially the hot and spicy taste! You make me want to fly to Thai now, anyway it is just one hour away from where I stay. I have never been to Thailand. Would love to – Thai food is delicious. 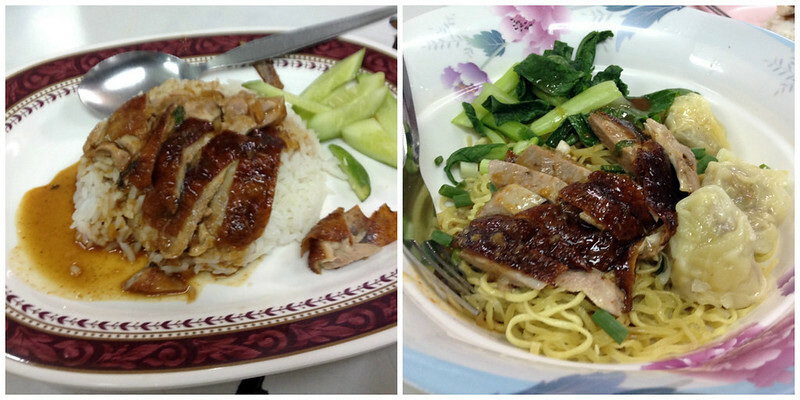 A street market came to our town last month and I bought honey chicken from the Thai stall – it was amazing! I went to Bangkok back in 2016/2017 and I really wish we did some food tours, however, we did eat some DELICIOUSNESS regardless of not doing any!! OMG yes! This totally made me hungry! It looks like a fantastic, and delicious way to spend your day in Bangkok. Tee sounds like a great guide. Thanks for sharing this, am surely making a booking from “Taste of Thailand” site, this seems to be a really a better way to taste all local food when we visit Thailand, when we try on our own we may miss few places and the authentic food. I’d love to go here one day! Your pictures make everything look amazing. Oh wow! I would love to take a food tour in Thailand. It sounds and looks so yummy!! I feel hungry after reading your post! There are so many different kinds of food to eat! Truly a culinary experience! Oh how fun…it looks like you had a great time. This is definitely some awesome places to eat!! It’s been years since I last visited Bangkok, and I definitely miss all the awesome street food that we had during our trip. Wow! Thailand is such a beautiful place to visit. Reading this post and seeing those delicious foods makes me really hungry! It looks like you had a great time during your time there. It looks like such a beautiful place to visit. I am not one to venture too much out of my comfort zone, but I always love trying somethin new once! Thanks for sharing! There’s just so many options for me, I feel so comfortable with Thailand knowing and seeing that the food is just closely related to our usual local culinary delights but there’s nothing better than trying those curry paste, I’ve tasted one and I can’t forget its wonderful flavor! I’ve been to Thailand a few times before, but when I was younger with my parents. My fiance is planning to take me on an anniversary trip to Thailand this November to see the lantern festival and I can’t wait! I am so looking forward to trying out all the street food that I’ve heard so much about! Hi Nancie! I love you travel stories, thank you for sharing. I would love to experience eating street food in Thailand too. Will definitely try all your recommendations.